This book teaches students how to make the difficult ethical decisions that journalists routinely face. By taking a case-based approach, the authors argue that the best way to make an ethical decision is to look closely at a particular situation, rather than looking first to an abstract set of ethical theories or principles. 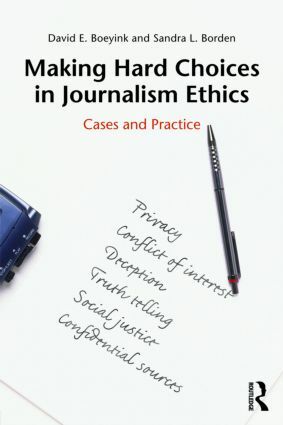 This book goes beyond the traditional approaches of many other journalism textbooks by using cases as the starting point for building ethical practices. Casuistry, the technical name of such a method, develops provisional guidelines from the bottom up by reasoning analogically from an "easy" ethical case (the "paradigm") to "harder" ethical cases. Thoroughly grounded in actual experience, this method admits more nuanced judgments than most theoretical approaches.